conduct business in the melting pot of mixed faiths and passions that we call America. In our churches? In our hearts? 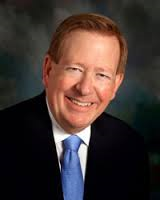 I think it is time for the Mayor Jim Brainard of Carmel Indiana to have a lesson on the First Amendment and what it really means to Hoosiers. There is a great big difference between “Freedom of Worship” (the term Mayor Brainard is speaking of), and “Religious Freedom” intended by our founding fathers. Let me give a him a quick lesson. The Obama Administration has already done this. Early in his presidency, when Mr. Obama was on one of his apology tours in Cairo, he began to replace the term “freedom of religion” with “freedom of worship.” I’ve even heard the term “freedom of worship” tossed around by my own peers! This is dangerous! Very dangerous! Let me tell you why. Redefining the terminology allows the government to redefine what it protects. Religion centers on a core belief system. Worship is just ONE factor of that. Many countries, such as Romania and Saudi Arabia, have the “freedom of worship,” but their people have no freedom of conscience, no freedom to spread the Gospel or practice religion in the public square. This is one of the main commandments of the Christian faith. Jesus said to go and make disciples of all nations in Matthew 28. The church is NOT a building. The church is the PEOPLE living in the public square. So when Mayor Brainard says we need to recognize there is a distinct difference between how we worship our God in our churches, our homes and our hearts versus how we live, play and conduct business in the melting pot…he is stripping you of the freedom to live your faith in the public square. That is not religious freedom and directly flies in the face of the First Amendment of our Constitution. It’s about time we start paying attention to the fine print! Let me translate his quote above: If you are a person of faith, go to church on Sunday and shut the door. Do what you need to do. When you leave the church, you will serve the god of the State. In other words, play church on Sunday, shut up on Monday and Tuesday. Mayor Brainard may make himself feel better with his “moral preening” and feel good ordinance, but quite frankly, he needs to be more concerned about protecting our Constitutional rights. Starting with the 1st Amendment. Boyer is exactly right. The Free Exercise Clause does not just protect one's right to worship, but the right to PRACTICE one's faith, including outside of the Church's walls. Brainard is flat-out wrong that the Free Exercise Clause only protects the right to worship. Boyer's piece goes on to address the Carmel ordinance. It is a must read. We'll see what residents think of this PC fatwa, when they get a look at the hard cost of sharia compliance; to provide gender fluid facilities throughout Carmel, including schools & businesses (!!!). This brand of madness should require a recall election. Johnnystir, the problem is Brainard is flat out wrong about the Free Exercise Clause. It's more than a freedom to worship provision, which is a tiny subset of one's free exercise rights. Monica Boyer's composition sure caused me to do some serious thinking. I believe Boyer crafted a cogent argument in support of our Constitution right to "freedom of religion" and the difference between that freedom and "freedom of worship". I have to admit I've not paid attention to the politicians who obscure the former with the latter and I see how they can effectively change the subject and move the argument- but on false bases. I will be paying much more attention to how all politicians use the language from now on! Monica Boyer most certainly did "school" Carmel's career mayor. Only a left liberal Democrat would deny her accomplishment because she effectively destroys an intentional liberal lie about those two "freedoms". Or is it: Welcome to Hedonia? Paul, we Christians need to run more to our State Constitution and less to the First Amendment of the federal constitution. Former Chief Justice Randall T. Shepard advocated that our Indiana constitution offered protections more complete to the individual than the federal constitution: See Second Wind for the Indiana Bill of Rights, 22 Ind.L.Rev. 575 (1989). Cited in Price v. State, 622 N.E.2d 954, 957 (Ind. 1993).